Thanks so much for your thoughts. I'm grappling with this idea of "greatness" because somebody is bound to ask me to explain and I've already had a friend say, about the "Tristan" recording, "I can't hear any difference". He's a musicologist himself (and has written a book) and, true to form, he's sure to put me on the spot on the day of my presentation. Many people have said Carlos had qualities that Erich did not - in the sense that he had an easy rapport with the orchestra and was able to provide intense visual images to inspire the orchestra. That's all part of what you've said yourself and speaks to his ability to get the best out of the musicians. But it's also said he had an astounding knowledge of the scores, hearing in his head exactly how each phrase should sound and wedded to a perfectionist mindset which, I'm sure, drove musicians mad!! (It certainly created much anxiety for Kleiber himself.) You'll often hear people talk about the generally faster tempos in a Kleiber recording, and also an element of excitement which you don't hear from others. Richter spoke about Kleiber's "Tristan" at Bayreuth as the very best he'd ever heard. But there's a expression I used from my years of English teaching when I was teaching students how to write narrative, "SHOW ME; don't TELL me". There's often a disconnect between what people SAY about a conductor and what people actually HEAR from him (in this case). I guess as long as I've done my homework and seem to be across the brief all should be OK. 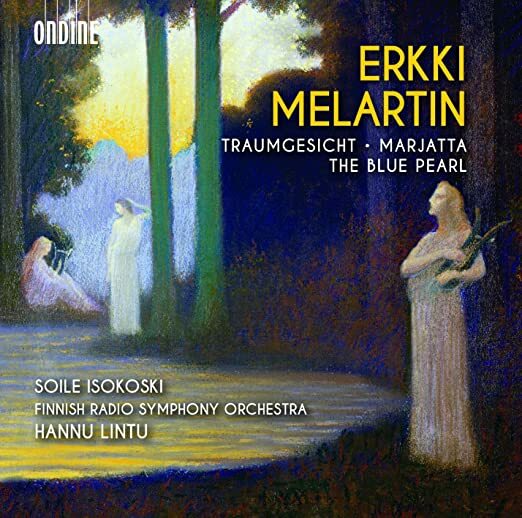 This is a fine disc of little-known music by Finnish composer Erkki Melartin (1875-1937). Soile Isokoski is her usual radiant self in the second selection (Mariatta, Op. 79), while conductor Hannu Lintu (new to me) leads the Finnish Radio Symphony Orchestra in exquisitely played performances of Traumgesicht (op. 70) and music from the ballet The Blue Pearl, which runs just shy of 1/2 hour. This recording is excellent, with transparent sonics that match the finely tuned orchestra. 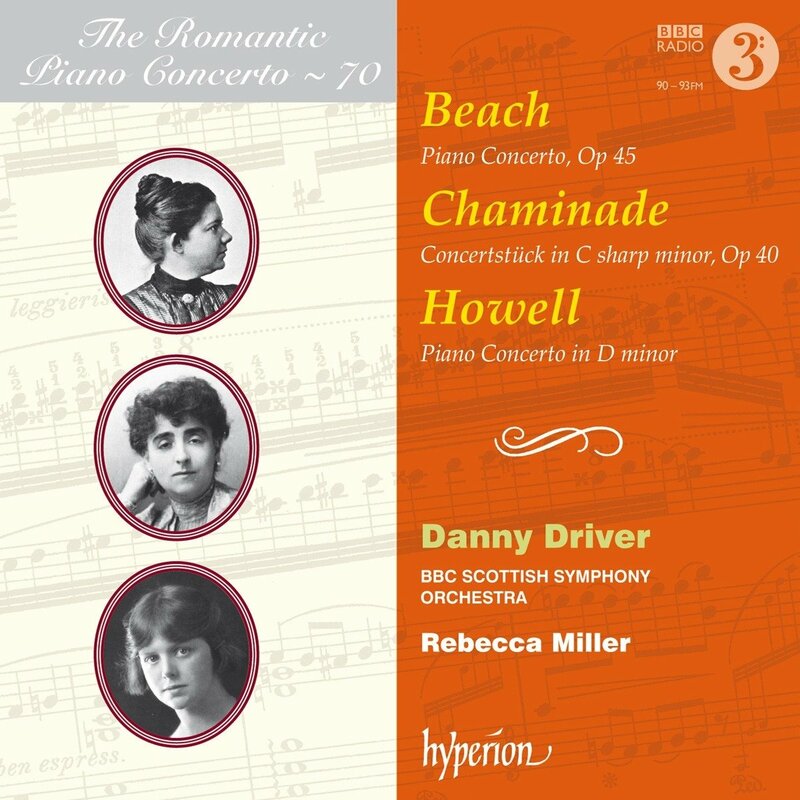 For those who like to explore early XXth century Romantics, I highly recommend this first-rate CD. Five enthusiastic stars! This is a Forza to be reckoned with. Sadly, the production values are pure Eurotrash (see amazon for details), but the singing is magnificent, from every member of the cast. On top of that, the conducting is superb! The music-making here, Italian opera in a German house with an international cast, is faultlessly stitched together. 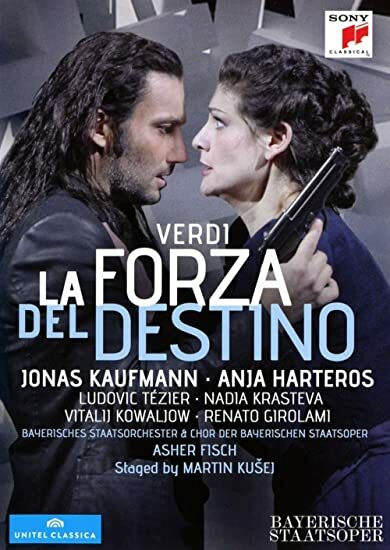 Anja Harteros (new to me) makes an astounding Leonora, while Jonas Kaufmann sings his heart out as Alvaro. Forza premiered in St. Petersburg: that's not the version we get here, but we still get an opera written for a pitch that was 1/2 tone lower than was usual in those days, thus very special voices are needed for the roles in this opera, which reads with high notes on B natural instead of Bb, for instance. For tenors it's even worse, with pitches on F and F# and G, which are tough to navigate. At any rate, Kaufmann and Harteros, along with Renato Girolami as Fra Melitone and Nadia Krasteva as a top-notch Perziosilla, make for a first-rate cast, with everything under control by conductor Asher Fisch (nw to me). Don't bother watching this video if you're not sympathetic to modern productions, but don't miss this glorious music-making just because of that! Five stars plus for music, 2 stars for the directing. 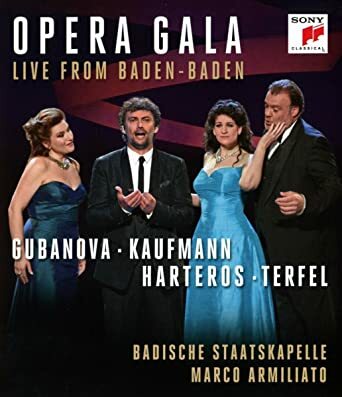 I am yet to see this production of Forza, but yesterday I have just watched the excellent concert Harteros, Kaufmann, Gubanova and Trefel had sung at Baden-Baden. No revelations, but highly entertaining and enjoyable imho. Issued last year direct from Moscow, this is a collection of Melodiya's idea of best recordings of Shostakovich's oeuvre issued in a deluxe box. All except VIII (Mravinsky, 1961) are in stereo, and all have been remastered from studio tapes in very good sound from the 60's and 70's. Each interpretation is exceptionally good: Svetlanov in V & VII, and Ivanov in XI stand out in my mind. 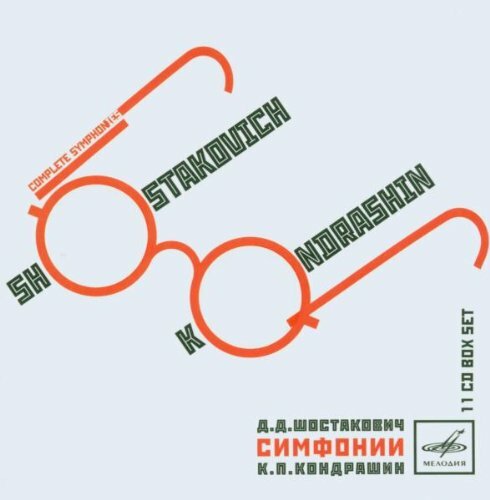 The reason to get this set (available from MDT but not yet on amazon) is really Maksim Shostakovich's reading of his father's XV, his first recording made in 1975 and released here on Angel LP at the time. The tape was deemed destroyed for decades when Maksim defected to the west in the 80's, but somebody very wise decided to hang on to it secretly. We are lucky now to have its first appearance on CD in excellent remastered sound. The accompanying booklet to the set includes notes in Russian with an atrocious English translation (Bolshoi is always translated as "Big," rather than Great or Grand, etc.). This set is a must-have for Russophiles. You must not pass this up! Actually, far too many new discs since about the first of the year. No doubt last year and this year (so far) has been a tremendous banner year for collectors who grew up largely on LPs and have adapted to the CD format nicely. The mega-boxes from nearly all labels make not wanting to grab some new issue impossible. May I try to convince you? With the Kondrashin set now selling new on amazon for $900, and the Rozhdestvensky set also a rarely seen collectors' item, now is the time for the collector in you to break out and grab the above set while it's still available! Even at $900 I wouldn't part with my Kondrashin set: these are historical treasures, never before available on CD and not likely to be offered again in the future by Melodiya, particularly considering the political tensions between us and Russia. The sound quality is remastered to a T. Please don't pass this up. The set pictured below is now offered at roughly $900 on amazon, and will soon disappear! The thing is, Lance already owns everything, so he probably has at least one release of the Kondrashin recordings. For myself, I'm not buying records any more, but if I were, I have a half dozen of these symphonies conducted by Mravinsky as well as other versions that do more for me than Kondrashin's, going back to Markevitch's exciting #1 for EMI, so I have all the Shostakovich I need. John, I meant to refer in my post to the set I reviewed above, not to the Kondrashin set, which I'm sure Lance has. The set I reviewed contains gems by Svetlanov, Ivanov, and a XV by Maksim, which is a first release on CD TMK. It's a glorious set in outstanding sound listed on MDT for less than $90, and it will soon disappear, I fear, as did the Rozhdestvensky and Kondrashin sets. Sorry to hear that you don't buy CDs any more: there's so much great new stuff happening, but I understand your point of view completely (I have another friend who has made the same decision.). My point is that these Russian releases are instant collectors' items, based on limited availability and current pricing. My policy is: Grab them while you can! Well, I have the M. Shostakovich #15 on LP, I don't think as highly of Svetlanov's Shostakovich as perhaps you do, and as for Konstantin Ivanov, he just isn't in their league, from those of his recordings I've heard. "Collectors' items?" Only if you collect everything, I'd say. As for me, I'm 75 and disposing of my record collection rather than adding to it, to simplify things for my executor when the time comes. The collection has served me well across six decades, and I'm sorry to see it go, but with so many of my recordings now on YouTube, and living in New York where there's so much live music all around, I can do without it. Generally, I agree with you about Ivanov, but I have a superb Tchaikovsky V from him, and this Shostakovich XI is a knockout. Even mediocre conductors have the right to come up with an idea now and then that works, and Ivanov decided to do the first movement in 2. It sounds a little rushed compared to Stokowski's 4, but the tension is electric, and carries over into the rest of the symphony like a battering ram. The transients, typical of Soviet engineering of the era, are sharp and piercing. It's a fine performance, and I'm glad to have discovered it. As for Maksim's XV, I've been waiting for over 40 years to get rid of the pops and ticks of the Angel/Melodiya LP edition, and I'm delighted to finally have it on CD. At last! This alone makes the set worth the price paid. Svetlanov, like every conductor, had his good and bad days. The recordings featured in this set, especially VII, are among his best, IMHO. Even Temirkanov, who is not among my favorite maestros, delivers a magnificent X. All in all this is a first-rate compilation of carefully chosen recordings that satisfy immensely. Pavel Kolesnikov is a pianist new to me (There are so many these days!). 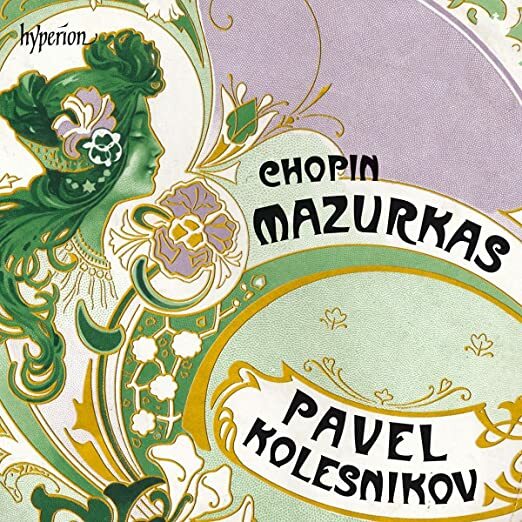 The obvious comparison in this repertoire is Rubinstein, and I find Kolesnikov more thoughtful, exploring depths of meaning in his interpretations with such a wide dynamic range that Rubinstein's more literal approach, while not disappointing, now leaves me wanting more Chopin from Kolesnikov. These interpretations show a much more thoughtful and intimate approach, as if played for himself rather than for an audience in Carnegie Hall. Five enthusiastic stars. 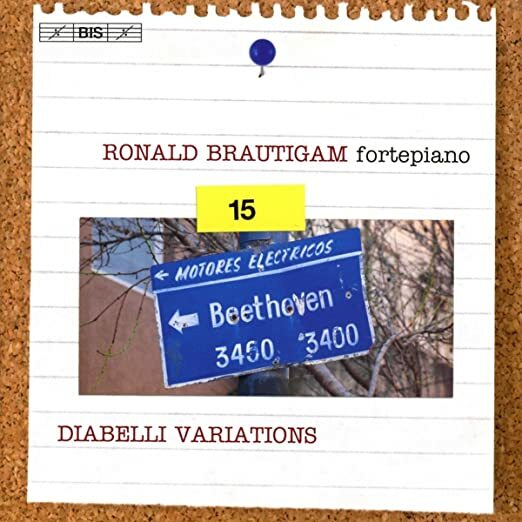 Dutch fortepianist Ronald Brautigam has completed his survey of the complete piano works of Beethoven. Devoted mostly to the Diabelli Variations, this new CD upholds the excellence of previous volumes. This is a lovely recording, and I'm glad it's been made. Goldmark wrote pleasant music, and although not great, it should be heard. Die Konigin von Saba has its moments of beauty, but is ultimately not great music, but a pleasant way to pass the time if you're curious about obscure repertoire. Not an impressive work, but a pleasing one. Nevertheless, I'll probably not be returning to these discs. Three stars, with an A for effort. Andrew Litton has made himself into a well-respected Prokofiev conductor, with well-received recording in Bergen of V & VI. His latest is of the 1947 revision of IV (done after Prokofiev wrote VI), and a successful performance it is. Not since Ormandy have I heard such cohesion and accuracy in the playing. VII is a different matter, conceived as a simpler, less complex work, it attempts to recapture innocence, but can't avoid being a more masterful and heavier symphony than I. Litton phrases beautifully, and the Bergen players are well up to the task. Certainly this is a welcome addition to the catalogue, as modern versions of VII are rare as hen's teeth, and it is a worthy symphony. Five stars, with a recommendation that you should buy Ormandy for comparison, as he recorded the original Stalin-inspired ending in 1953. 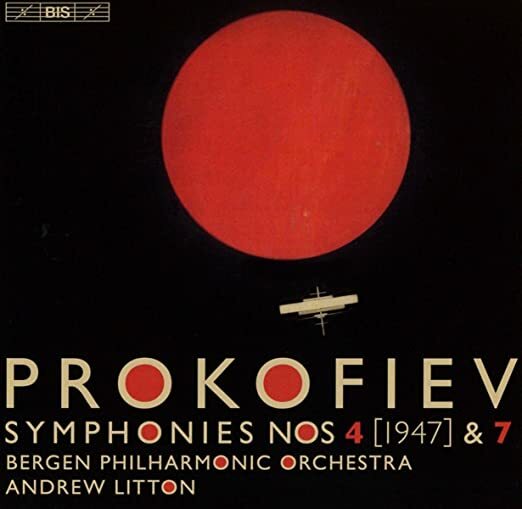 Here, Litton conducts a bonus track with Stalin's preferred ending, while preserving the original last movement as Prokofiev wrote it, so we get two tracks marked Vivace. Last edited by maestrob on Mon Mar 20, 2017 10:44 pm, edited 1 time in total. Though born American, Andrew Litton has a Russian family background, and I think he's at his best in Russian music. He made a good recording of Shostakovich's 10th, and his Metropolitan Opera debut was in 1989 conducting "Eugene Onegin." There's quite a story behind that. Just before the performance Litton was hit with appendicitis, but managed to conduct the whole opera, with his mother attending him in the dressing room between the acts. Not knowing that, I thought it was a good performance. The rest of the run was conducted by James Levine, and Litton hasn't returned to the Met since then. That's very interesting, John, thank you. Litton is one of the more famous students of Jean Morel, who was teaching at Juilliard at the time Litton was studying there. The others were James Conlon, Leonard Slatkin (also of Russian extraction), Myung-Whun Chung, and, of course, James Levine, not to mention Vincent La Selva. The Orchestra of St. Luke's is a fine, polished example of New York's freelance players at their best, and has been around now for more than 30 years TMK. This is not by far their first recording either. So why this repertoire at this particular time? 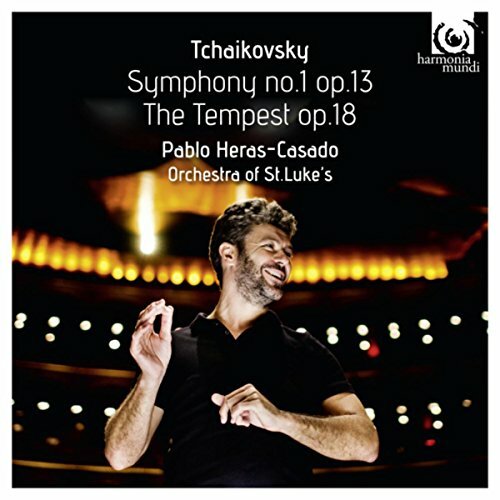 I don't know, but I hope it's the start of a new Tchaikovsky cycle from Pablo Heras-Casado, who proves himself a highly capable maestro in this well-recorded release. Tchaikovsky I is hardly a great symphony, but it's given a valiant effort here and the pacing and playing are both outstanding. Kudos also for the rarely-performed Tempest, which receives a passionate and well-rehearsed reading from these forces. All in all, a fine outing. Four and 1/2 stars. Interestingly, this excellent disc of rarely performed Faure piano music is marked Volume I, which leads me to hope that Volume II will soon be released. Louis Lortie has spent some considerable time and effort with some very well received Chopin releases, easily as persuasive as those by Ingrid Fliter (please see my earlier reviews.). 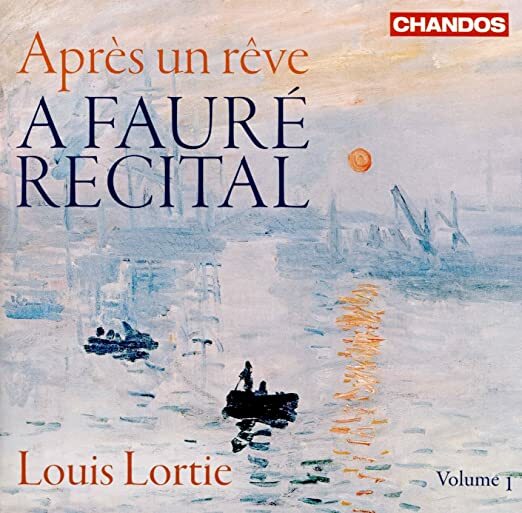 Now we find Lortie exploring Faure, with a commanding yet sensitive touch in repertoire ranging from the Pelleas et Melisande suite to some of the later Nocturnes, laid out in an appealing recital format. Fine music-making here, beyond delightful into insightful. Five stars. 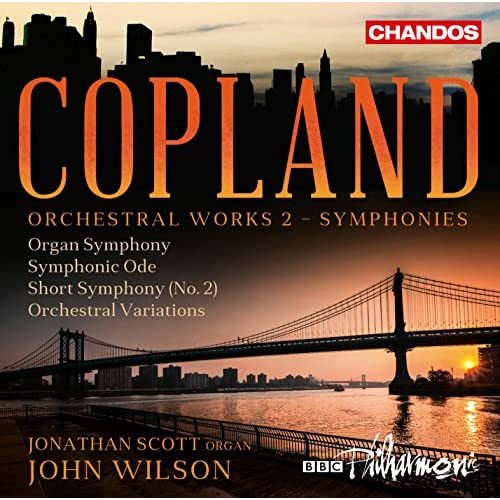 John Wilson is a conductor new to me, and he leads the BBC Philharmonic here in a first-rate program of Copland's orchestral works (this is Volume II in a series). The disc includes the Organ Symphony (which I've not heard in a new recording since Bernstein in the 1960's), the Orchestral Variations, the Short Symphony and the Symphonic Ode in the 1955 revised version. All are superbly played, although I like Bernstein's less tame version of the Organ Symphony better. This is a magnificent disc, however, and should be in every Copland lover's library, along with Volume I. Five stars! Volume 70 of Hyperion's Romantic Piano Concerto series. No Beethoven 4th or Brahms 1st here, but three previously unknown works, enjoyable in beautifully played and recorded performances. 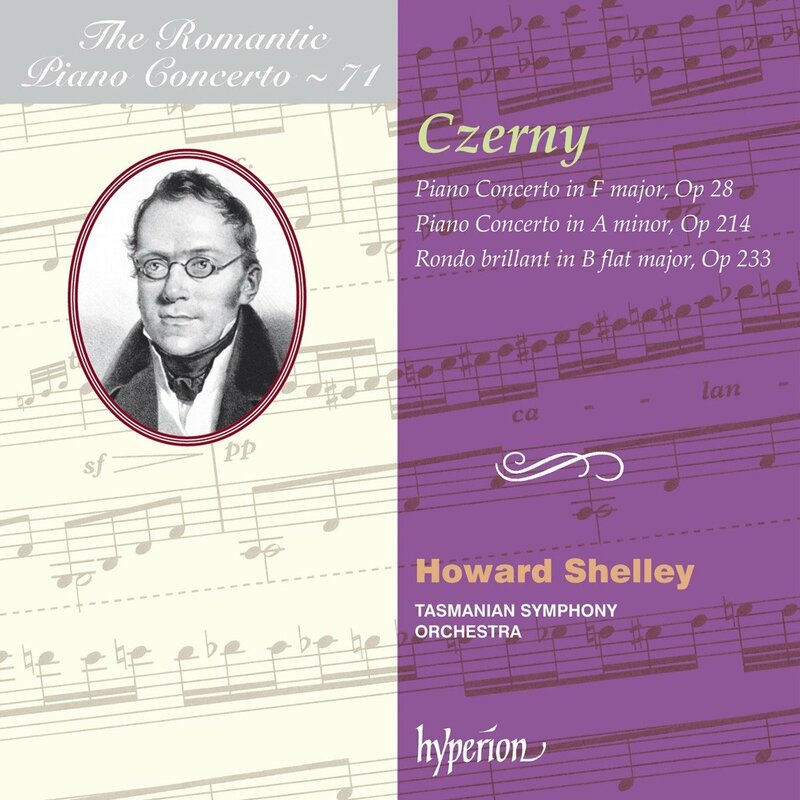 Volume 71, devoted to concertos by Carl Czerny is scheduled for release later this month. orchestrations and highly individual ideas. The recorded sound is excellent. Four stars for the set. Here is a disc of gems for the Francophile, delicious repertoire (including three exquisite Duparc encores). 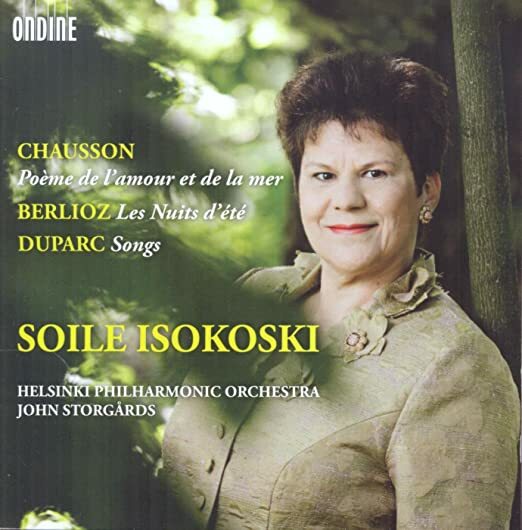 The highlight of this disc is Berlioz's masterpiece "Les nuits d'Ete," written for two distinct voice types (baritone and soprano), here gloriously sung by Soile Isokoski in this her latest foray into orchestral songs. Chausson's "Poeme de l'amour et de la mer" receives equally fine treatment from Ms Isokoski and her conductor John Storgards who provides excellent and sensitive accompaniment. 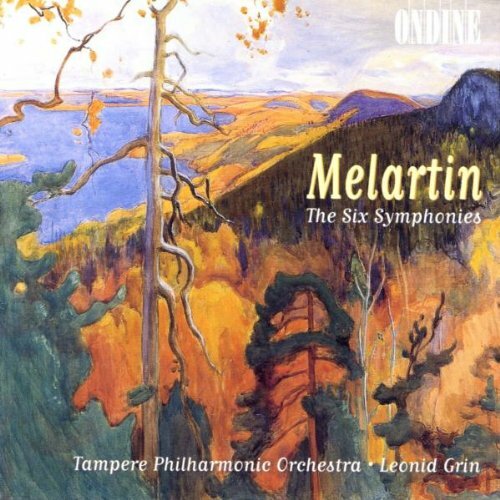 All in all, a disc worthy of your attention not just for superb singing, but for fine playing from the Helsinki Philharmonic. Five stars. 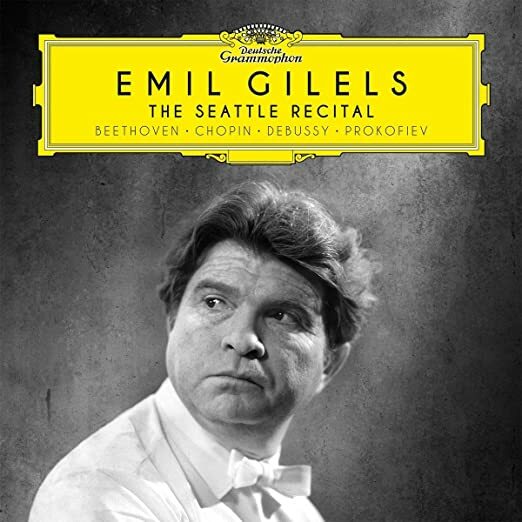 The above is actually a recent release of a newly-discovered recital tape from 1964, showing the Ukranian pianist Emil Gilels at his absolute best, in a wide variety of repertoire, from Beethoven and Chopin to Prokofiev and Stravinsky. Each selection is played with great attention to detail, and the wide-ranging repertoire demonstrates Gilel's unbelieveable musicianship, making even the Waldstein Sonata fresh and new to my ears. A magnificent achievement: I felt like I was sitting in the best seat in the house. A few coughs and murmers here and there from the audience only added to the atmosphere of this extraordinary experience. Five stars! 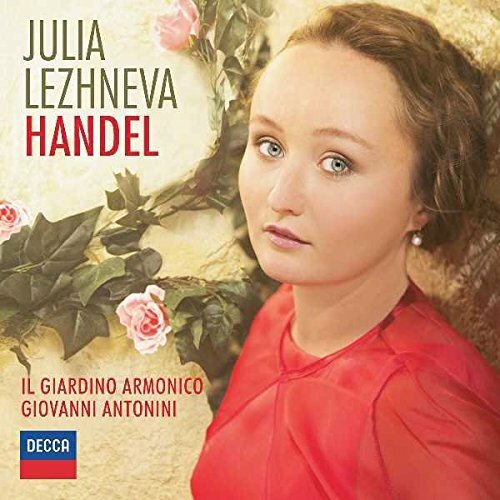 Julia Lezhneva has again recorded an outstanding album, fully equal to her debut album reviewed earlier in these pages. Hers is a voice replete with both tenderness and fire, suitable both for pyrotechnics and for heart breaking adagios. It doesn't hurt that she has the face of an angel taken from any classic Russian icon! I Giardino Armonico led by Giovanni Antonini provide splendid and sensitive accompaniment. Five stars. I'm ashamed to admit that I've never even heard of Graun, let alone anything by him, so I've been looking for this recording with a lot of curiosity and anticipation. Hopefully, it doesn't disappoint. 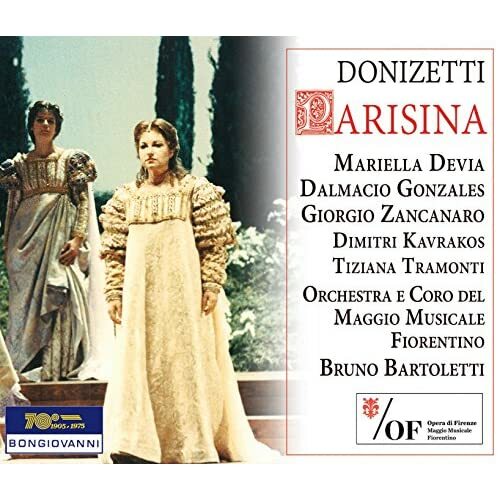 Mariella Devia is not the only star-quality singer in this excellent cast of Parisina, an obscure Donizetti opera. The men, including Dalmacio Gonzales, Giorgio Zacanaro, & Dmitri Kavrakos sing lustily and with great fervor, doing real justice to their roles. Bruno Bartoletti leads everyone in a fine-honed performance brimming with excitement. This is obviously not Donizetti's finest work, but it is well-crafted and worthy of attention. This historic issue from a live performance at the Maggio Musicale Fiorentino rates an enthusiastic four and 1/2 stars. Bravi tutti! Yes, I tend to look more these days for recordings from the past, and as collectors we are fortunate there have been so many, especially in mega-disc boxes at generally reasonable prices that go sky high after so much time. I still scratch my head and say: "Where do we draw the line?" For me now, I've just about sacked any new issues on symphonic repertoire [except in rare cases of Classical- and Romantic period composers not well known]. 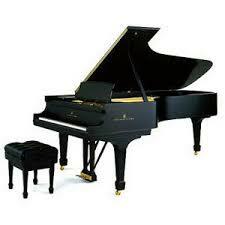 But pianists, singers, and some instrumentalists still spark an interest, and in that order. 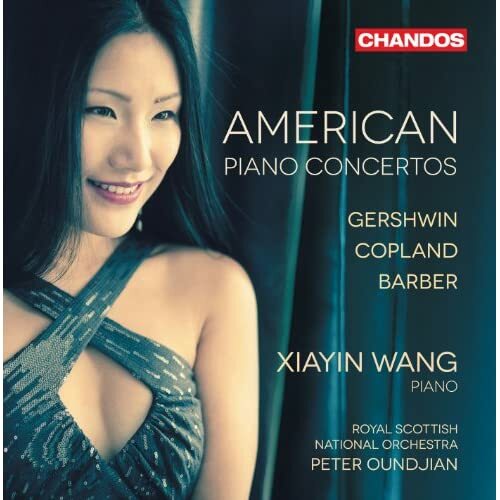 Here's an interesting collection of American piano concerti played to the hilt by a pianist new to me, Xaiyin Wang. Samuel Barber's 1962 concerto starts off the disc, unfortunately with less electricity than the premiere recording with George Szell leading the young John Browning, either on the commercial disc or in the live premiere in Philharmonic Hall which was issued on LP. I'd give this rendition 3 stars: neither conductor Peter Oundjian or pianist Xaiyin Wang seem to understand that this music needs drive and passion: the notes are all there, but not the feeling. Copland's and Gershwin's concerti fare better, sounding truly American with fervor and much panache in the Gershwin. In spite of the weak Barber, this disc is a keeper. Four stars, and I'm glad I got to know this new pianist on the scene. This is the third volume in Edward Gardner's excellent survey of Janacek's orchestral works, and it pleased me very much. Gardner's tempi are spot-on, and the chorus has been well-coached in the Czech text. The Bregen Philharmonic doesn't quite display the intensity of Bernstein's NY recording from the 1960's, but the baritone soloist (Gabor Bretz) has a better sound. Sara Jakubiak and Susan Bickley shine in their respective parts, while well-knows tenor Stuart Skelton rivals Bernstein's Nicolai Gedda. The excellent organist, Thomas Trotter deserves mentioning for his passionate playing as well. The recording quality is, as always with Chandos, a bit distant at times, but that doesn't detract from the first-rate music-making on this disc. Four & 1/2 stars. Emmanuel Pahud is, to my ears, the dean of flute players for our age, much as Jean-Pierre Rampal was for his generation. 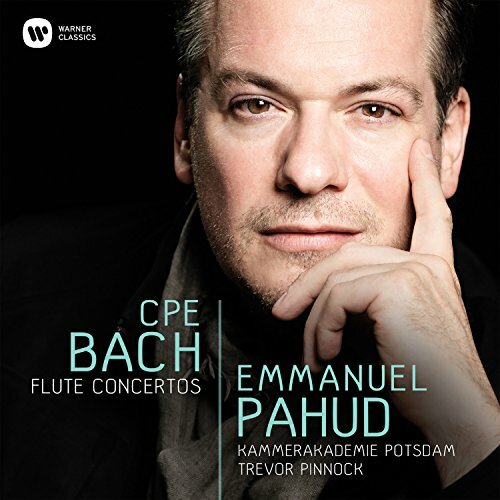 With the explosion of interest in HIP performance practice, recorders are the "in thing" at the moment, but Pahud soldiers on, making excellent recordings with top musicians over and over, as his partnership with the well-known Trevor Pinnock encourages discriminating listeners. This, the latest release from the duo, finds the Kammeracademie Postsdam in rare form, doing justice to the neglected flute concerti of C. P. E. Bach. A delightful and energetic disc, this was my first exposure to this sparkling repertoire, and a happy experience it was for these ears. Five enthusiastic stars! Maximilian Steinberg was, among other things, Nicolai Andreyevich Rimsky-Korsakov's son-in-law, and his favorite composer. If you love the a capella works of Rachmaninov, including the Vespers and the All Night Vigil, you will love this disc. 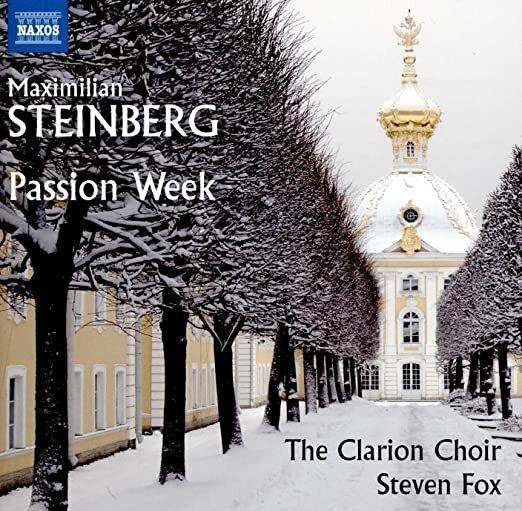 Choral textures are rich and transparent, while the recording of the Clarion Choir led by Steven Fox is just right, revealing detail without being too close-up. This is a magnificent disc, and I'm glad I discovered it. Try Steinberg's symphonies as well! Five stars. The Ensemble Intercontemporain has long been known for its performances of contemporary music. This 2-disc set features performances of Bartok on disc 1 and Ligeti's concertos for piano, cello, and violin on disc 2. 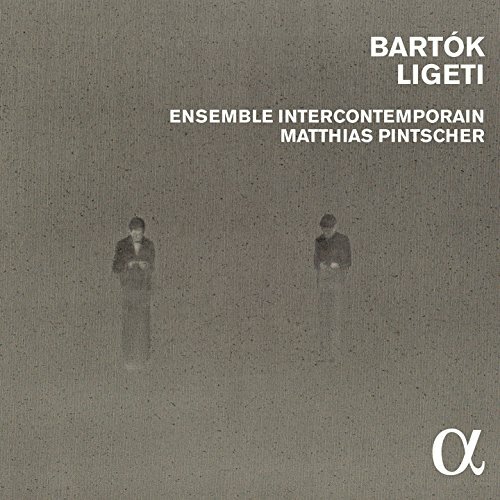 The Ensemble, led by Matthias Pintscher, does full justice to these difficult scores, particularly the Ligeti, which are available for the first time all on one CD. The highlight of the program, for me, was Bartok's Music for 2 Pianos and Percussion, played with an electricity I've not heard in other recordings. Five stars. Never really heard any Nielsen before! 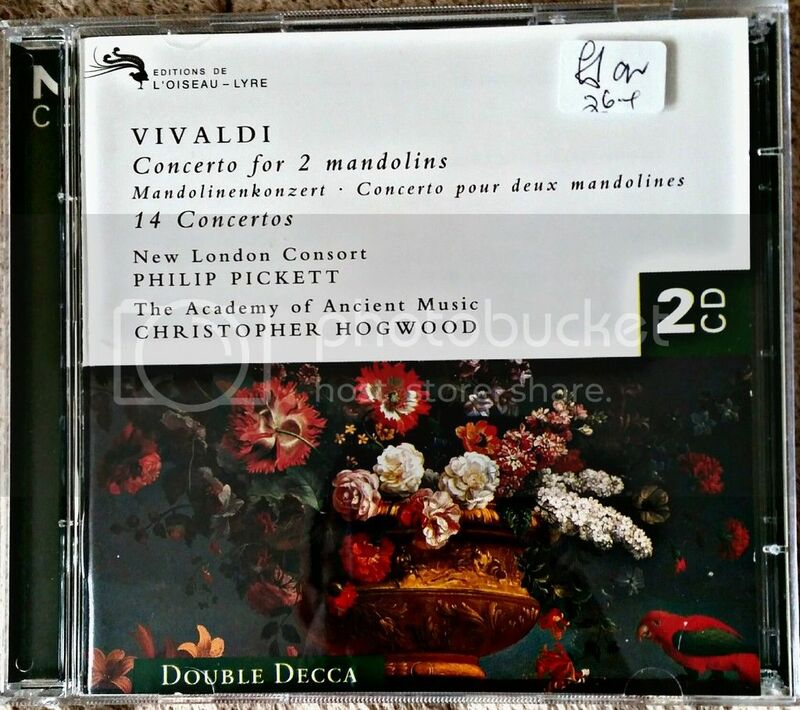 Prior to that I picked up this rather nice Vivaldi disk at a charity shop for 99p! The clarinetist is Stanley Drucker. I have assiduously collected Hyperion's Romantic Piano Concerto series since it began in 1991, and for the most part enjoyed the individual releases. Volume 71 is an exception. Despite Howard Shelley's ardent and skillful advocacy, these works are simply boring. I don't expect to find them in my CD player often. Conductor Masaaki Suzuki is well-known for his Bach, but has recently been branching out to include Mozart's masses in his recorded repertoire. 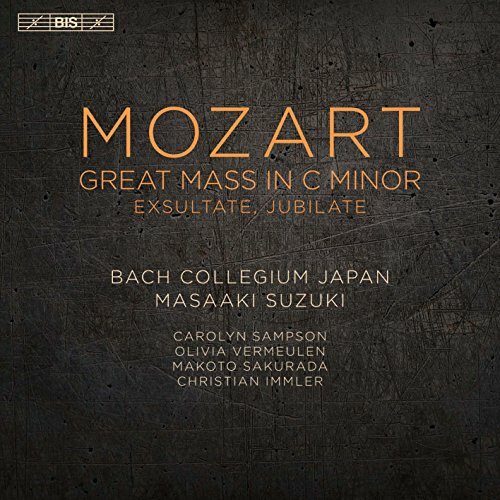 This disc of the Great Mass in C Minor, coupled with the Exsultate Jubilate, performed by the conductor's own Bach Collegium Japan, is the more successful disc of the two recent releases. Carolyn Sampson is the first-rate soprano on the disc, especially in her virtuoso performance of the Exultate Jubilate, while the other soloists including Olivia Vermeulen, Makoto Sakurada, and Christian Immler, are all in top form. 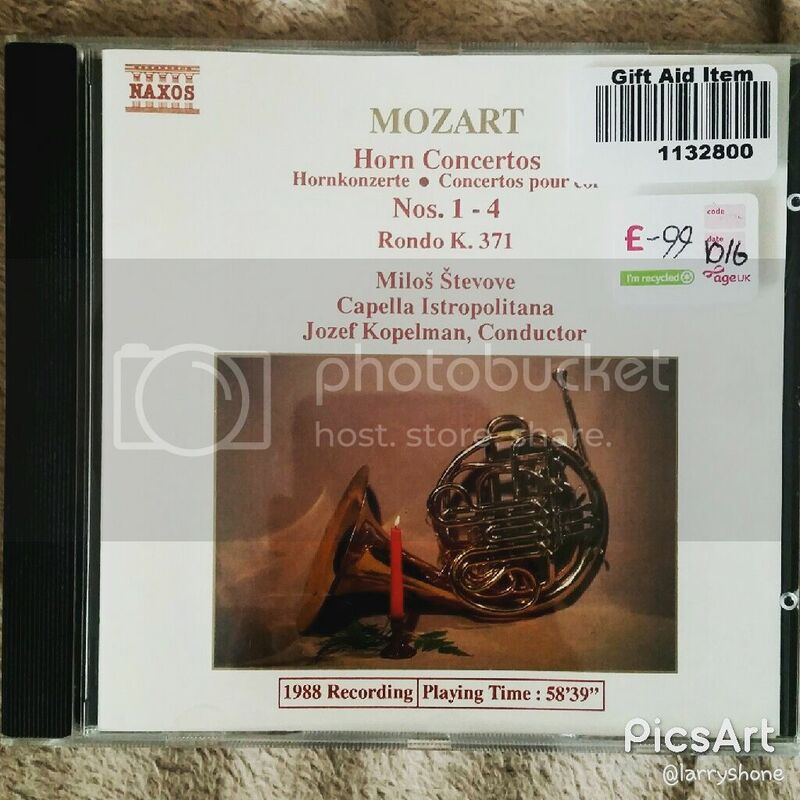 This is a superb recording of Mozart and well worth your time. A deeply heartfelt performance, with great musicianship from the ensemble and chorus. Four 1/2 stars. My favorite version of IV is pictured below, even above Bernstein's. I don't have the Ole Schmidt, but he gets only 3 stars on amazon. 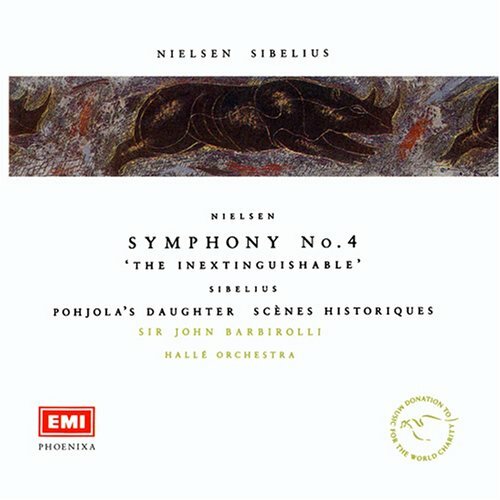 YMMV, but I strongly recommend the Barbirolli single, not just for the symphony, but for the other repertoire as well. For me, the landmark recordings of Nielsen 4 are conducted by two Danes, Launy Grøndahl on HMV and Thomas Jensen in a ferocious broadcast performance on Danacord. Jensen's recording of the 5th for Decca is at least the equal of Bernstein's, though the latter has the advantage of a great orchestra and excellent stereo sound. I don't go with reviews on amazon, nor am I in a position to look for the best recording. I get disks by chance more than judgement. And I only have one version of a piece of music. I dont go looking for specific artists usually. 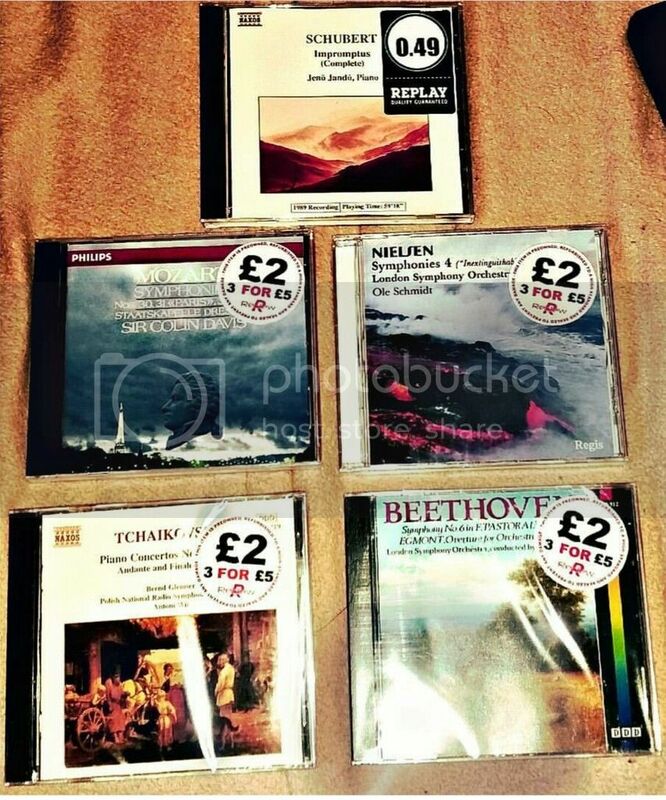 Tho I did hunt down a benchmark version of Smetana's Ma Vlast years ago. I always learn something from you, John, about the mono era. Thanks for that! Thomas Jensen's Nielsen is the most exciting on records. He had it from the source: studied music theory under the composer, played cello in the premieres of the 4th and 5th symphonies, attended Nielsen's rehearsals. The Wikipedia article about him says "Nielsen's daughters held that Jensen was the conductor whose performances came closest to Nielsen's own." Of course that doesn't make these recordings (he also recorded the 1st, 2nd, and 6th symphonies, the flute concerto, and shorter works) the last word about Nielsen, but I'd say they are the first word, a point of reference and a standard for all others. I haven't heard Jensen conducting any other composers except for Kuhlau's overture "William Shakespeare" on Danacord and YouTube. That too is exciting. What must his Beethoven have been like? The first question one must ask upon seeing this disc is, "Do we really need yet another recording of this repertoire?" My answer, having heard this disc in its entirety is a resounding "Yes!" 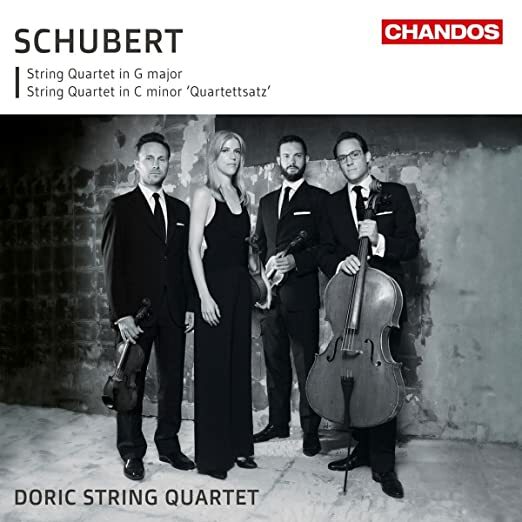 Herein the recently formed Doric quartet displays not only great finesse, but attention to fine details in dynamics and vibrato that have eluded other ensembles. This is first-rate quartet playing, and it needs to be heard in its own right. Five stars. 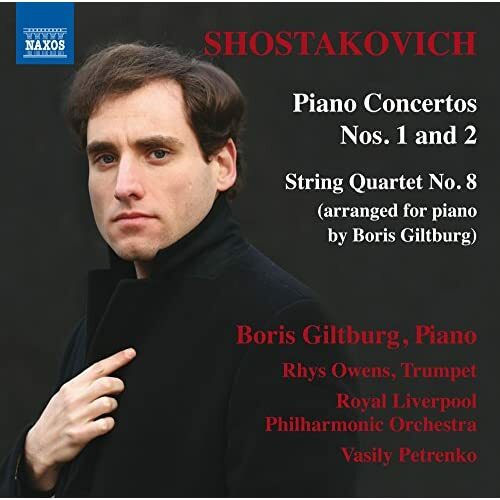 Boris Giltburg is not a new artist to these ears, and neither is Vasily Petrenko: both are exciting and genuinely original musical personalities. Here they are paired in the fiendishly challenging music of Shostakovich in one of the most successful discs of the year. Every note is played here with genuine feeling and excitement, especially the bouncy and joyful rhythms of the last movement of the Second Concerto. Giltburg's new arrangement of the well-known String Quartet No. 8 for solo piano comes off as pensive and very deep emotionally, with searing harmonies. All in all, a successful disc from my perspective. Five stars. Couldn't agree with you more. I had to have this one when it was HOT off the press! I try never to miss anything with Gilels though much of his repertoire has been recorded of the same material many times over. One of the supreme pianists of his time. I have been eyeing this one for a while, especially because of Devia, whose voice I adore. Seems she should be much better known than she is in the USA. And, of course, there is Donizetti, one of the greats of the bel canto era.